I have never seen a dead body in person and to be running out and seeing dead bodies everywhere is terrifying. I hope everyone is safe. Thank you to everyone wondering if I’m okay, really means a lot. Picture of King Lurch and his girlfriend now has become viral on internet. 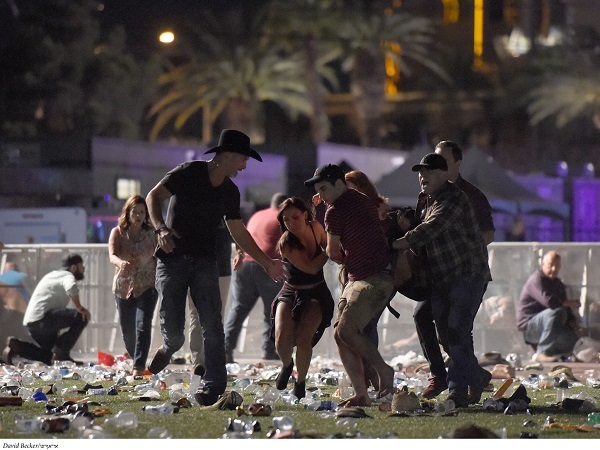 Lurch was presnt in Vegas Concert where a gunman killed more than 50 people and injurded more than hundred. Lurch and his girlfrined were succeed to be safe at last.